Brought together by a love of European horror cinema of the 60's through to the 80's, piano/keyboard player Nadin Petricelli and drummer Claudio Miniati formed a project with the aim of creating instrumental-only melancholic music in the same manner, under the name L'Albero Del Veleno (`The Poison Tree'). Initially joined by Lorenzo Picchi (guitar), Dario Agostini (bass) and Mark Brenzini (flute), the group recorded a medley of unreleased soundtracks of the best films of Italian director Lucio Fulci, however, with the replacement of Dario with Michele Andreuccetti and the addition of Francis Catoni on viola, the band was ready to record their own original music. The result is music that is immersive, introspective and emotional, with an emphasis on brooding atmosphere. The musicians also enhance their music with video contributions, with all their material based on original screenplays written by the band. In a live concert presentation, projections are always present on stage, their playing serving as a live soundtrack to those videos. The band is also responsible for composing soundtracks for horror/thriller movies on demand. 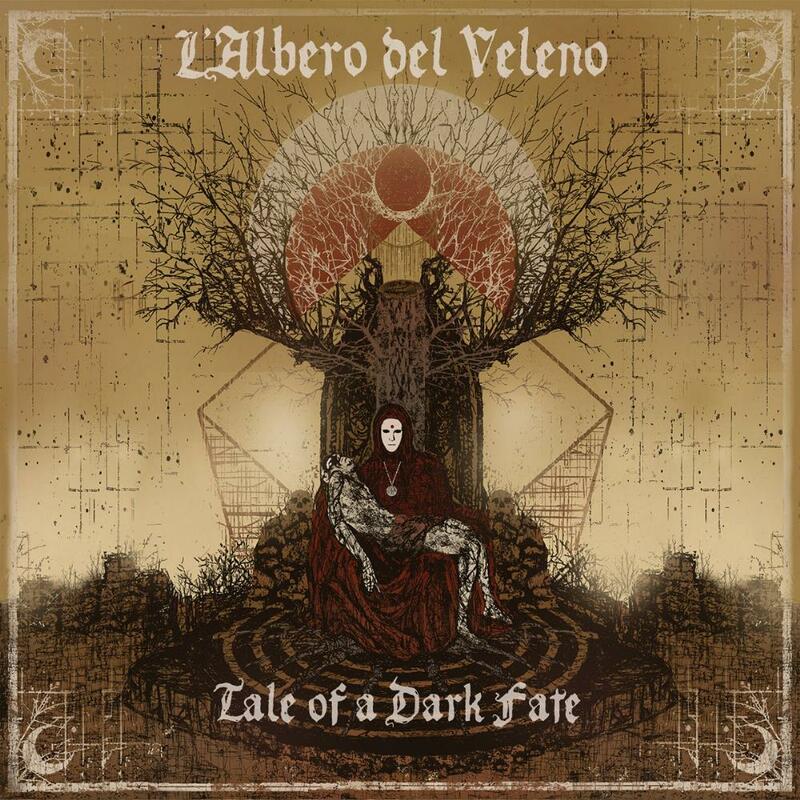 L'Albero Del Veleno joins the tradition of Goblin, the works of Antonio Bartoccetti and others performing darker themed Italian progressive rock. Their debut album focuses on tension, suspense and mystery over extreme darkness and heaviness, as well as incorporating a more traditional Italian prog style due to the inclusion of piano, viola and flute for a grander classical drama. Sparse post horror release missing suspension and darkness. The good things about this are the vintage keyboards, the flute and the viola. The keyboards especially evoke a Gobin-like atmosphere without being too cheesy. The bass is quite prominent and worth a listen. I like the overall sound of the instruments. A thing that should be mentioned, is the very high level of repetition. I am an avid Zeuhl and (Post)Minimalism / Totalism fan and therefore not inherently against repetition. However, here, phrases are repeated to death. It seems pointless most of the time, as repetitions are not used for suspension or to get the songs somewhere. In my opinion, Clotho could have been made three minutes shorter by cutting out repeated phrases and it would still be pretty much the same song. The repetitions give this a post rock/post metal like feel - it is post horror, if you will and listeners might appreciate it for this. A post horror approach is quite unique, as far as I know. To summarise: They shaped post horror and the instruments sound great. It is a bit unique, but also a bit frustrating because of missing suspension, too many repetitions, compositional simplicity and general politeness. Still definitely a band to watch out for. 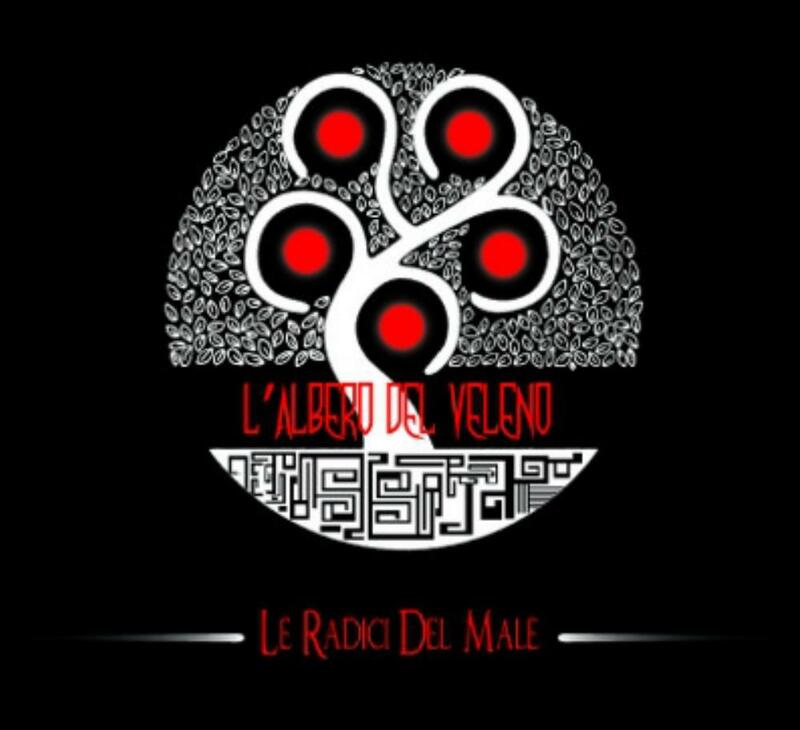 Italian group L'Albero del Veleno (The Poison Tree) released a well-received debut back in 2013 entitled `Le Radici del Male' (`The Roots of Evil'), a cinematic horror-influenced work of gloomy Goblin-styled pieces. It was a superb first effort from a talented bunch of young musicians, but now it almost seems like a mere practice run for what they've delivered here four years later! 2017's `Tale of a Dark Fate' is a fully instrumental rock opera told in two acts, conveying the stories of Hypnos and Thanatos, two siblings of ancient Greek mythology that reside in the underworld, and it holds all the moodiness and mystery of that legendary above-mentioned horror soundtrack group, but L'Albero del Veleno go much further. Eerie electronics have been grafted with the constant ravishing piano, sweeping classical flavours and darting flute of so many classic vintage Italian progressive acts, and that elegance and sophistication is even further enhanced by violin, viola, strings and choir. The first act is a five part suite that conveys the story of Hypnos - the personification of sleep - and his three children Morpheus, Phobetor and Phantasos. After the opening prelude's spectral electric piano punctured by heavy staccato guitar blasts and bashing drum stop/starts, `Morpheus' (Shape) is a slinking Goblin-like theme of gurgling electronics, slithering bass and alluring violins. With snaking electric guitar soloing, infernal Mellotron choirs and elegant symphonic synth passages rising in dark majesty, there's an urgent and unexpected up-tempo sprint in the middle before a shadowy come-down in the climax. This sublime opening section sets much of the template for the rest of the disc, but there's still plenty of surprises to come. 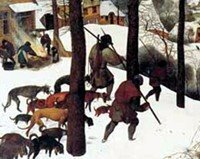 `Phobetor' (Fear), the personification of nightmares, is a darkly reflective symphonic theme that grows in intensity and hair-tearing desperation, and `Interlude I - Momus' (a sharp-tongued spirit of unfair criticism and the embodiment of satire and mockery) is a creeping piano and viola/violin duet. The slowly unfolding spacey shimmering guitars of `Phantasos' (Imagination, Fantasy) and scratchy flute are laced with the lightest of dusty eastern flavours, but monolith-sized slab-like pounding primal drumming and grinding guitars in the second half remind of Antonio Bartoccetti's early Jacula albums (and yes, there really is a fourteen second `Interval' of silence on track 6 before the second act kicks in!). The remaining five pieces that comprise `Act II - Thanatos' encompass the goddesses of fate and destiny, the Three Fates (or Moirai) who spin (Clotho), draw out (Lachesis) and cut (Atropos) the thread of Life. `Clotho', authority of major decisions and essentially controller of people's lives, rumbles with stalking relentless bass behind floating ambient synth washes before being thrashed with lively drums and gleefully malevolent piano stabbings, and the piece eventually reveals two ghostly swooning reprising themes and some restrained orchestration. `Lachesis', who determines destiny, is predominantly frantic, aggressive and full of momentum. `Interlude II - Ananke' opens with aching classical violin and a touch of reaching Post Rock-flavoured slivers straining in the background before lifting with pulsing bass and strangled guitars to convey the inevitability and fate that the title of the piece conjures up. `Tale of a Dark Fate' runs a welcome vinyl length that makes it easy to replay, retains a strong melodicism in its instrumental themes, and proves to be exactly the kind of richly detailed and grand work that benefits from further study and reading into the inspirations and backgrounds to the music presented. If a mix of the darker bands from Italy like the Goblin-related families, Three Monks, Il Segno del Comando and Antonius Rex (as well as similarly influenced worldwide acts such as Zombi and Zoltan) crossed with the most glorious classical-laced Italian progressive music sounds intriguing, this lavish and wildly ambitious spectral pantomime is one of the Italian progressive music highlights of 2017 for those who like to walk in the darkness, and is ample proof of L'albero del Valeno stepping up in a big way. 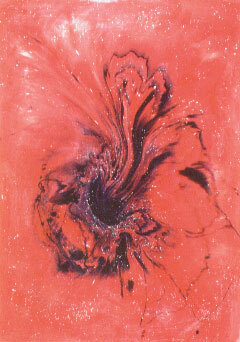 A black, white and red cover of this album shows a drawing of the poison tree, L'Albero del Veleno. This is the debut album Le Radici del Male (The Roots of Evil) of this Italian band. L'Albero del Veleno started out as a duo, with Claudio Miniati on drums and Nadin Petricelle on piano and keyboards. They were aiming to create instrumentals inspired by horror movie soundtracks of the '60s and '70s. To make this work, they recorded some soundtracks that were never released by the Italian director Lucio Fulci. For this, they formed a band with 5 members. Later, they added a sixth and started recording their own music. Next to the two founders, the band is formed by Lorenzo Picchi (guitar), Andrea Andreucetti (bass), Franseco Catoni (violin) and Marco Brenzini (flute). Not a typical rock ensemble, but one that fits the music of this band - movie soundtracks with an occasional hint of classical music. This 6-piece is responsible for the contenst of Le Radici del Male. After this comes ?e Resta il Respire (The breath remains). This starts with a keyboard piece in 6/8 accompanied by the flute and violin. A soon as the drums and guitar join, the beat changes and the music becomes dark and haunting. After a slower part in the middle (keys and drums only) it speeds up again into a piece that is equally dark as the witches dance, but very different in nature. The second of the two heavy tracks is Due Anima Nella Notte (Two Souls in the Night), that starts with a staccato bass notes, and then slowly builds up into a dragging, haunting piece - with the staccato opening rhythm as a recurring theme. 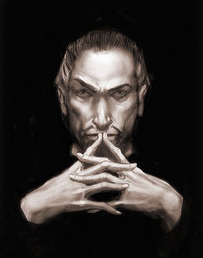 The climax of the album is entitled Al di La' Del Sogno? L'Incubo Riaffora. Online material on the band and the album clarifies that this 12 minute piece actually consists of four pieces based of music from movies. All of these by the bands favourite director Lucio Fulci, in cooperation with the composer Fabio Frizzi. This is a real horror movie soundtrack as the band's founders had in mind, I recommend not playing this on headphones with the lights out on a dark stormy night? This album needed some time to sink in, but my daily car routes helped in that - I just played it for a week and found the click. For prog fans who love soundtrack like music with a classic edge, or those who like dark, symphonic Italian prog this album is worth checking out. Italy keeps producing strong new prog acts! This sextet, translated as Poison Tree, have recorded their debut in Florence. The instrumental music has almost a Gothic-like dark atmosphere, but in an elegant manner, having very little to do with heavy rock style. One may get associations towards many directions. First, quite expectedly (as the founding members have mentioned horror movies as their inspiration), Italian dark prog classics such as GOBLIN or JACULA / ANTONIUS REX, even though the playing is more modern and tighter. Furthermore, I think the Hungarian SOLARIS have made rather similar strong and melodic instrumental prog with art music flavour. The group features viola and flute players - and the latter cannot avoid the comparisons to Ian Anderson on the fourth, rocking track 'Un Altro Giorno di Terrore'. The intensity of some compositions remind me of the Finnish group Magyar Posse. Surely there are also more delicate nuances, especially on 'Presenze dal Pasato'. It's worth noting how full-bred and democratic the band sound is (another feature shared with Goblin); no virtuotic competition at sight. Only the 12-minute closing track 'Al di La del Sogno...l'Incubo Riaffiora' with its choir-like synth layers gets a bit too pathetic. The relatively short album offers a spell-binding listening experience. 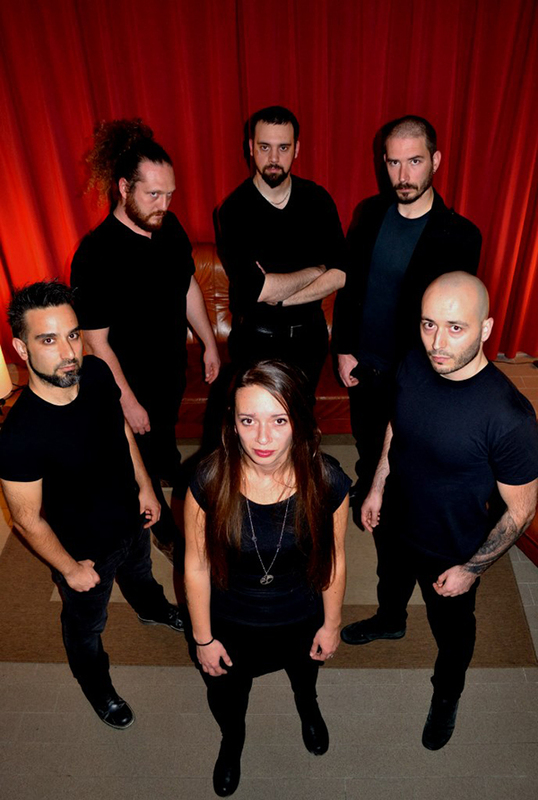 Italian band L' ALBERO DEL VELENO was formed back in 2010, with members that all share a passion for old Italian horror and thriller movies, as well as the soundtracks developed for and used in those productions. Following an initial phase where they tried their hand at material written by others they decided to start composing music in the same vein themselves, which lead the band to sign with Italian label Lizard Records in 2013 for the release of their debut album "Le Radici Del Male". The result is an album filled with instrumental progressive rock of the darker kind, music that exist within an overall gloom-oriented context. Not depressive nor oppressive as such however, and generally shying away from the brooding atmospheres and similar moods that reflects back to a negative emotional state of mind. Instead I'd opt to use words like ominous and haunting for the general ambiance of this production, Gothic is also a word that can be used as a reference I guess - as long as we think about the cultural tradition that brought us Dracula and The Hound of the Baskervilles rather than the more contemporary understanding of the word that implies either a metal band with a female vocalist or people dressing up and partying at more or less shady nightclubs. The band alternate between a small handful of different dominant main arrangements throughout these six compositions. Frail, atmospheric and fairly mournful piano and viola driven sequences is one of those, a not uncommon feature that is explored in full in a stunningly beautiful manner on Presenze Dal Passato. Other themes revolve around a darker and more dramatic sound, where guitars, keyboards and Mellotron effects combine in majestic, haunting atmospheres, presumably many of them inspired by vintage Italian horror movies of some kind or other. These themes may be fairly dramatic in nature as well, and if they aren't they have intense, more dramatic and theatrical sequences building up to them or following afterwards. Constellations combining keyboards, flute and viola in haunting, almost sorrowful escapades of a more or less gentle nature is another common feature throughout, with or without guitars in the supporting role, as well as plenty of variations of the constructions described oh so briefly here of course. While this may sound like an album that does contain quite a lot of doom and gloom, this isn't a production totally focused on dark atmospheres however. As with many other Italian bands looking back in time for inspiration that include a flutist, occasional nods in the direction of Jethro Tull is a feature also in this case. Harder edged more often than not, and most times with a generally darker touch than Ian Anderson's somewhat merrier men as well, but still with a combination of flute and guitar riffs that does remind of Jethro Tull, which in this context results in a more joyful and uplifting atmosphere introduced into this otherwise endarkened landscape. Instrumental progressive rock with a distinct, dark atmosphere and moods dominated by ominous tendencies is what we're served on this album, with plenty of theatrical flair of a subtle as well as dramatic nature, flavored by melancholic inserts and occasional details of a more uplifting nature. The band's stated influences by movies and movie soundtracks from yesteryear shines through as an obvious presence throughout too, and as such this is a band that most likely will be compared with other Italian bands of old inspired by or responsible for some of the aforementioned soundtracks. A company that should suit this band very well I presume, and fans of music of that kind will have another band at hand they should lend an ear to. L'Albero del Veleno began life in Florence in 2010 on the initiative of keyboardist and composer Nadin Petricelli and drummer Claudio Miniati with the aim to recreate the musical atmosphere of Italian horror and thriller soundtracks from the seventies. The name of the band means "The Poison Tree" and was inspired by an ancient Eastern myth, a kind of metaphor describing a beautiful entity hiding an evil nature. It tells about a tree which attracts people thanks to its fruits and to the peaceful shade of its branches but beware! The people who stop under the tree to take a rest will never wake up on account of the deathly power of its poison. After some line up changes and a hard work, in 2013 the band released a début album, "Le radici del male" (The roots of evil), on the independent label Lizard Records. The renewed line up features Nadin Petricelli (keyboards, synth), Claudio Miniati (drums), Lorenzo Picchi (guitars), Michele Andreuccetti (bass), Francesco Catoni (viola) and Marco Brenzini (flute) and the result of their efforts is a surprisingly fresh blending of vintage sounds and new ideas. Of course, they could recall Goblin or the Swedish band Anima Morte but the band showcase a great musicianship and a touch of sparkling vitality. The opener "Dove danzano le streghe" (Where the witches dance) begins softly, then the rhythm rises and the dance begins. The atmosphere is haunting and you can really breath tension and a strange kind of excitement where joy and fury are at war. The following "... e resta il respiro" (? and breathing remains) begins with an old, dark waltz coming from times out of mind, then the music lights like a fire casting uneasy, flickering shadows all around. "Presenze dal passato" (Appearances from the past) has a strong classical flavour and features delicate piano patterns and melancholic violin lines. It leads to the more aggressive "Un altro giorno di terrore" (Another day of terror) where feelings like fear and pain are painted with strong musical colours. For this tack the band shot a video that is included as a bonus on the CD. "Due anime nella notte" (Two souls in the night) is another dark, haunting piece where you can imagine two lost souls in the night dancing like moths around a fire, mesmerized. The last track, "Al di là del sogno... l'incubo riaffiora" (Beyond the dream... Nightmare comes back), is a tribute the films of Lucio Fulci and to the music of Fabio Frizzi and it's a medley taken from four different scores "Sette note in nero (The Psychic), "Zombi 2", "Paura Nella Città Dei Morti Viventi" e "?E Tu Vivrai nel Terrore! L'Aldilà". The different parts are perfectly matched together and this long piece sounds like a wonderful suite that begins with the sound of a carillon and ends with a powerful crescendo. A delightful gran finale for an excellent work! The debut album by the horror soundtrack influenced band L'Albero del Veleno (The Poison Tree) sure was a long time coming! After the project was initially announced, members of the Prog Archives RPI team were checking the band's website every few months, with little in the way of updates save for a single piece accompanied by a stylish and dark video `Un Altro Giorno Di Terrore'. But with the finally completed first album `Le Radici Del Male' (`The Roots of Evil'), the band has crafted some moody Goblin-styled pieces with a grand sophistication that avoids heavy metal/gothic cliches, and most surprising of all, Nadin Petricelli's classical piano, Francesco Catoni's viola and Marco Brenzini's flute bring that defining proper 70's Italian prog to their sound. Whether this was on purpose or not is unclear (discussions with drummer Claudio Miniati suggest that not all the band members were directly influenced by progressive rock), but it's definitely given the band an individual sound that makes them stand out from similar artists. The band also creates original screenplays that they use as the basis for how they write their music, with the intention of creating videos for the same, so this is clearly an ambitious group of talented artists with more than just music on their minds. Focusing on the album itself, opener `Dove Danzamo Le Streghe' starts with somber low piano notes and creeping pulsing electronic whirring, a driving plodding beat soon kicks in with slightly-off violin and gently heavy guitar riffing from Lorenzo Picchi that made me briefly think of UK doom band My Dying Bride. But the ghostly piano and flute outro is the first hint that this band may offer something a little deeper than typical horror soundtrack cliches, confirmed by the circus-like disorientating intro to the next piece `...E Resta Il Respiro'. Child-like and innocent with a creeping unease, before wailing guitar staccato stabs and thick imposing synths assault the listener. Some brief lovely flute is our only respite from the approaching sense of doom and maddening tension here, especially when the track picks up in tempo with bashing drums in the second half. 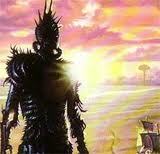 Both of these pieces recall classic Goblin, so fans of that band will really go for these two. `Presenze Dal Pasato' is very special and my personal favourite here, a lovely and darkly romantic piano/violin/synth piece that calls to mind the sadder moments of classically minded Italian prog. After the occasional bombast of the opening two numbers, this is a nice way to slow things down, though there's still enough to put you on edge. I really hope the band gets to make a video for this one. Coming back to proper 70's Italian prog, both `Un Altro Giorno Di Terrore' and `Due Anime Nella Notte' have the wild and ferocious unhinged energy of Biglietto Per L'Inferno, with darting flute, smashing drums and dirty guitar stomp! Flute player Marco Brenzini also plays in RPI band Le Porte Non Aperte, and their album definitely had it's Biglietto-like influences too. There's some truly beautiful gothic drama throughout the first piece, Nadin's piano sparkling with spectral beauty over Francesco's stirring viola. Michele Andreuccetti's chunky bass playing punches through the latter, with weeping viola, jazzy drumming and very loopy synth effects to create a rather sinister and deranged sound. The band wraps the album on an ambitious medley of interpretations from the soundtracks of one of their favourite film-makers', Italian horror/thriller director Lucio Fulci. The band weaves through a variety of deep synth melodies, Mellotron bursts, sparkling tip-toeing spectral piano, complex varied percussion from Claudio and imperial gothic classical majesty. Fans of dark Swedish project Morte Macabre will certainly recognize one of the musical themes covered here too! This grand and ambitious medley will surely be the favourite track for many listeners, and full credit to the musicians for making the pieces blend and weave together so seamlessly. I have no doubt that as the band perfect their craft and develop their own already strong material, they could achieve the same incredible quality arrangements as displayed on this cover piece. L'Albero del Velono now joins the company of artists like Jacula/Antonius Rex, Devil Doll, Il Segno del Comando, and of course the mighty Goblin that inhabit the darker corners of the Italian progressive genre. Short but darkly sweet, their debut release gets them off to a fine start, and the sheer talent on display from the band, not only in their playing, but in the grand arrangements and their ambitions of creating films to complement and enhance their work suggests a band with many great ideas, that will see them further mature and develop their sound in the future. For now, `Le Radici del Male' is a perfect introduction, and surely just the beginning of a distinctive and promising new project.